Touch lamps are designed to detect electrical property changes on the surface of the lamp to turn the lamp on or off. The power source is activated when an object touches or even gets close to the lamp by increasing the capacitance on the surface of the lamp. Painting the surface will not interfere with the touch sensitivity of the lamp. The surface must be cleaned and prepared with a primer designed for metal to ensure paint adhesion. You can save money by repainting your touch lamp. Give your touch lamp a face lift with spray paint. Wipe the dust off of the lamp using a clean cloth. Remove the shade from the lamp. Tape every area of the lamp that you do not want to paint. Wrap paper around the electrical cord and secure it with tape. Lay masking paper or newspaper over the top of a work table. Set the lamp in the center of the paper. Move the cord out of the way of the lamp parts to be painted. Shake a can of metal spray primer for the full amount of time indicated on the can. Apply a light coat of primer to the entire lamp. Spray the primer using smooth, steady, side-to-side sweeps. Allow the primer to dry for the amount of time recommended by the manufacturer. Apply a second coat. Shake a can of spray paint for the full amount of time indicated on the can. 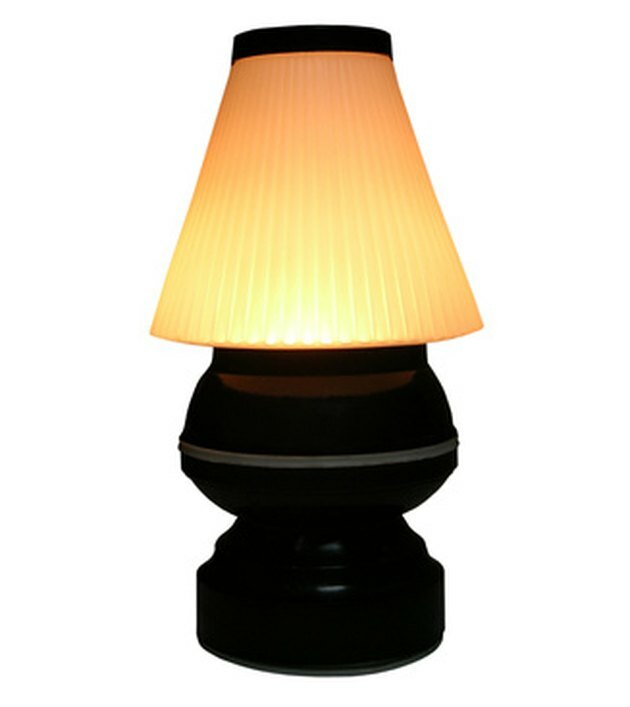 Apply a light coat of paint to the entire lamp. Spray the paint using smooth, steady, side-to-side sweeps. Allow the paint to dry for the amount of time recommended by the manufacturer. Apply a second coat. Multiple coats may be applied as needed in order to achieve the desired effect. Remove the tape after the paint has dried completely. Install a bulb and replace the lamp shade.